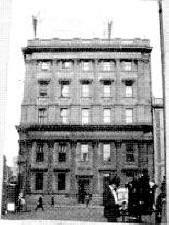 In 1902 (107th Report) the Bank purchased three adjoining buildings in Barrack Street which "will give a fair return" until needed. 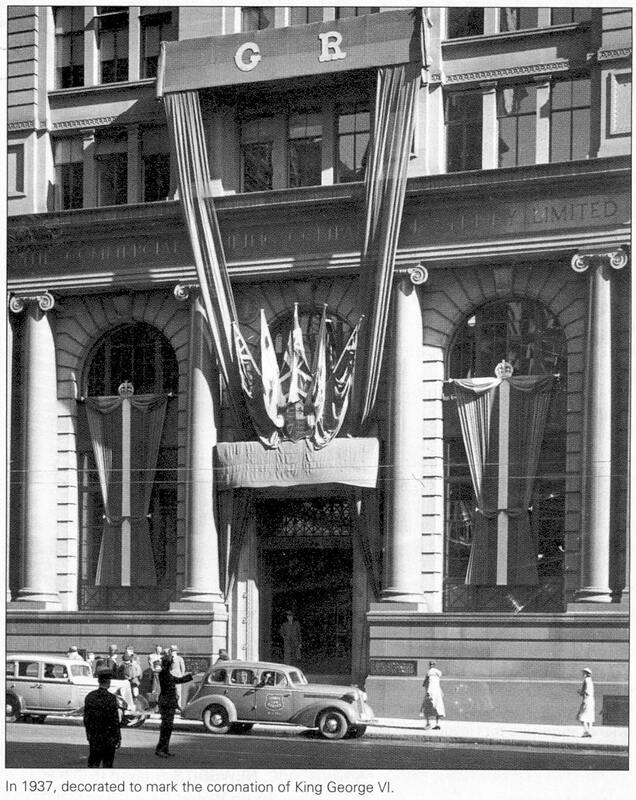 "At the request of Professor Leslie Wilkinson (Australia's 1st Professor of Architecture & Dean of the Faculty at Sydney University) CBCofS donated the original facade to Sydney Uni to provide additional accommodation for the Chemistry Department and to serve as an illustration of Gothic architecture". 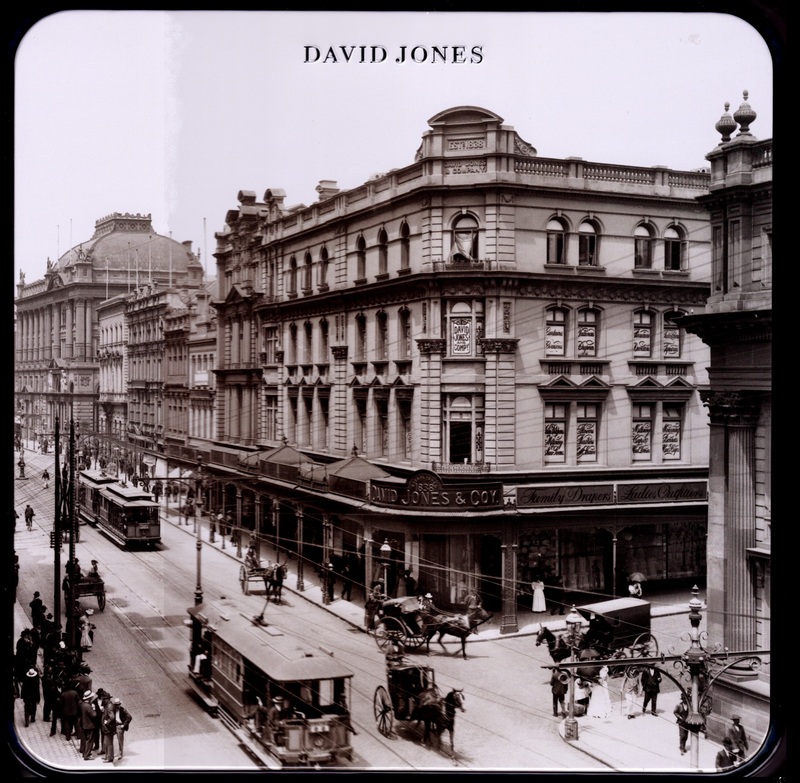 2017 Christmas David Jones Heritage biscuit tin lid featuring their Barrack Street corner store in 1904 with CBC facade on right side and Queen Victoria building at left side, along George Street. 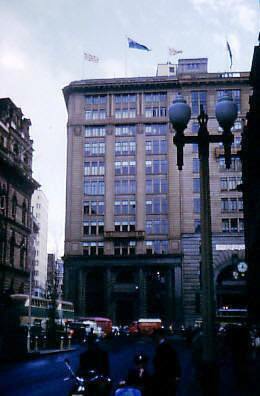 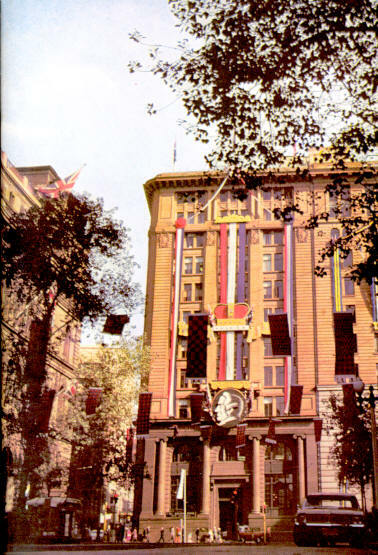 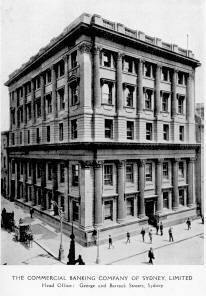 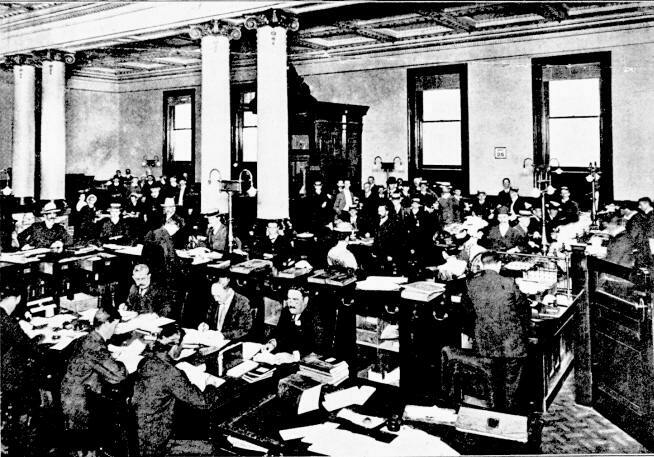 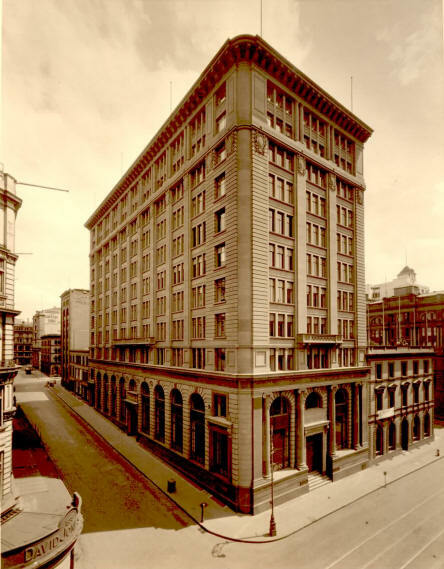 "1907 final extension took 343 George St building to 5 stories with exterior facade of the 2 top stories duplicating the Corinthian styling of the original base"
1907 photo of CBC with Bank of New South Wales head office on right. 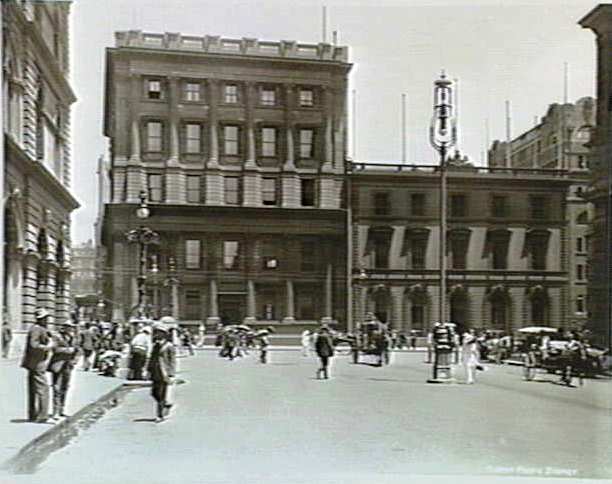 c.1925 Martin Place with CBC under construction in background, from a poster on hoarding in George Street 2017.